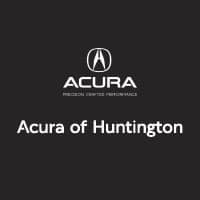 At Acura of Huntington, we can help with all your car care needs, whether it be an oil change or extensive repair you need. We also have plenty of Acura models for sale if it turns out you want to upgrade to an entirely new vehicle for your New Year’s resolution. Visit our Acura dealership near Long Island, NY today! One of the best things you can do for your car is stick to routine maintenance. Regular upkeep is essential in ensuring your Acura RDX or Acura ILX is performing optimally, efficiently, and safely. We help with any and all services, from tire rotations to tune-ups, as well as parts installation. We offer a large stock of OEM Acura parts in the event you need a replacement or want an upgrade. Our Acura service center near Bayshore and trained technicians know Acura vehicles inside and out, and they will treat your car like it’s their own. This is also a special time of year for Acura financing. We can help you find the vehicle you’re looking for and make the process as simple as ever. Our finance professionals will tell you everything you need to know about APRs, down payments, and more, also keeping in mind any current specials or manufacturer incentives. Even if your goal is to save money for a vehicle, we’re happy to offer tips and talk budget so your dreams become a reality. Whether you’re wanting to buy new or buy pre-owned, we have a large selection of choices, and our expert sales people are here to help you find the best fit for your budget and lifestyle. We’d love to work with you at our new and used car dealership in Huntington Station, so come see us soon! We are ready to help you make 2019 your best year yet.